“Feel the hatred of TEN THOUSAND MRGLGRGLGLBRGRGL!” This new World of Warcraft pet turning Illidan into a Murloc is excellent. It would also—just saying—make a great Murky skin in Heroes of the Storm. via Reddit. Credit for that Murkidan quote goes to Evil_Laugh_Mwahaha. CORRECTION: This post originally misidentified the character art as a skin concept for Murky in Heroes of the Storm. 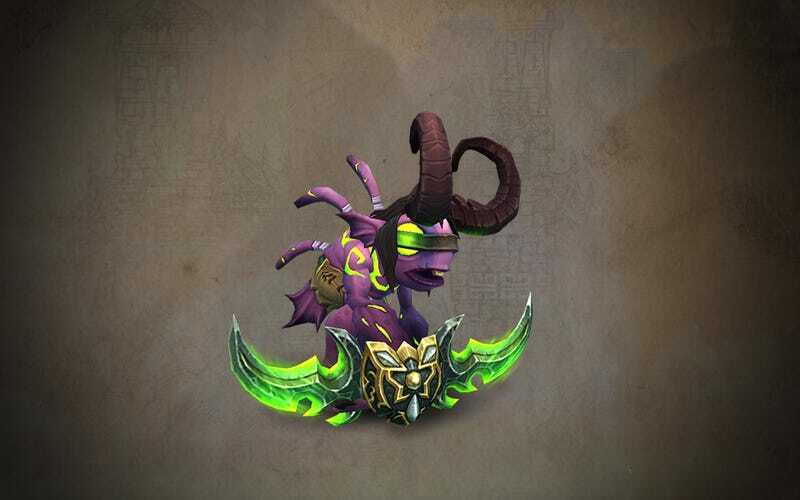 In reality, it’s a Blizzcon exclusive pet for World of Warcraft. Chalk it up to wishful thinking on my part!